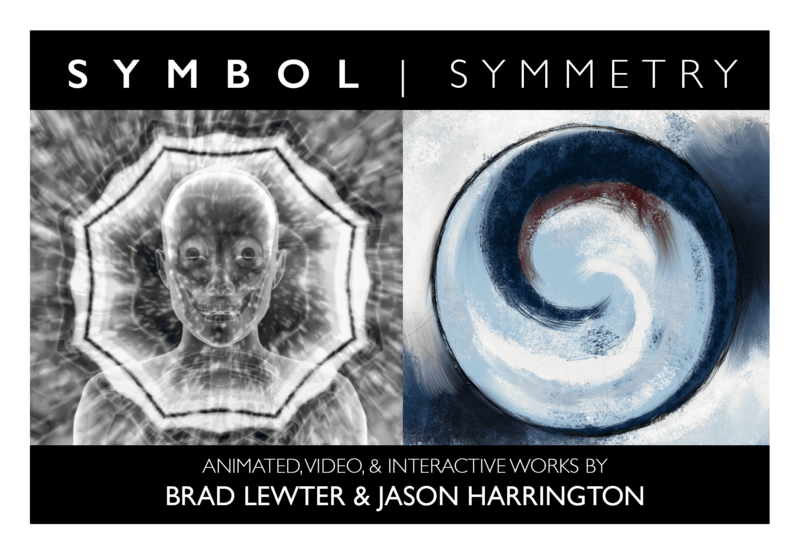 Brad Lewter and Jason Harrington are both animators living and working in Ithaca, NY. Their work differs in many aspects, with Jason focusing more on traditional hand-drawn animation and Brad working mainly in CG and other new media. However, their works share distinct threads that became very clear during the development of this exhibition. Both bodies of work regularly employ symbolism and symmetry to explore universal human narratives and archetypes. Luminous forms, bodies, and symbols dance through the ephemeral flicker of the screen. The human condition is central yet abstracted in the symmetries and correspondences of form, composition, color, shape, and sound. We invite you to immerse your senses and hopefully glimpse the wonder, mystery, and love we felt in the creation of these works.